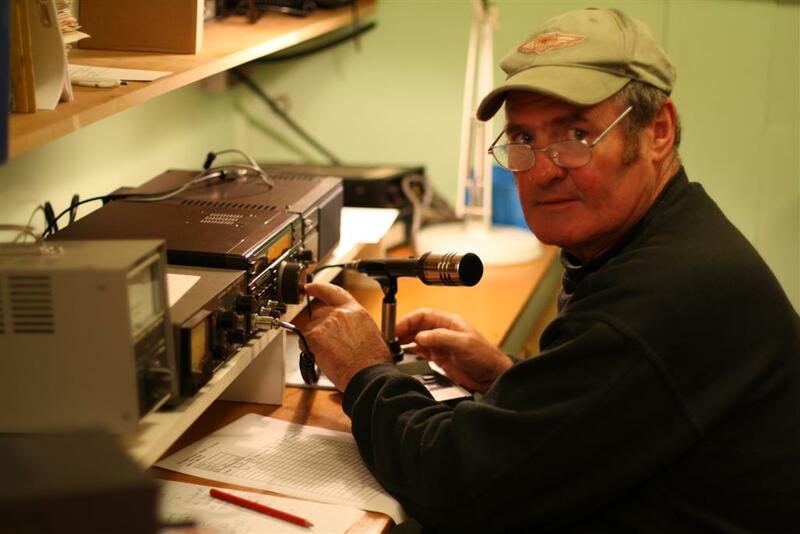 NARC has a proud history of being an active amateur radio club since 1946. A club cannot be successful unless it’s members contribute. And contribute they did. The list below is from the Honours Board hanging on the club wall. It is a tribute to these life members that they made things happen and still do. 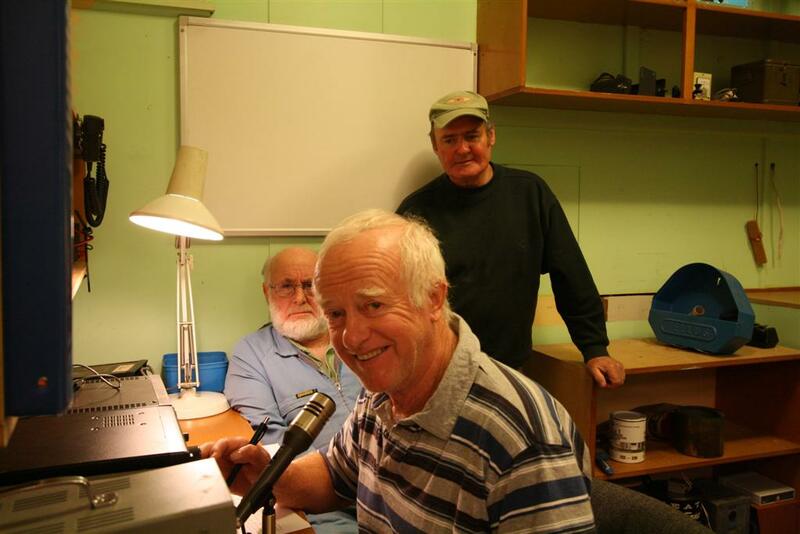 It has been many years since the Napier Amateur Radio Club has operated a contest from it’s Latham Street clubhouse. A year ago, the club committee decided to clean out the junk in the old radio room and rebuild the radio shack with an operational station which could be used by the members. The FT-840 and Emtron Antenna tuner with the newly erected 80/40M trap dipole does a credible job on the HF bands. VHF and UHF radios in the shack are also available for use. 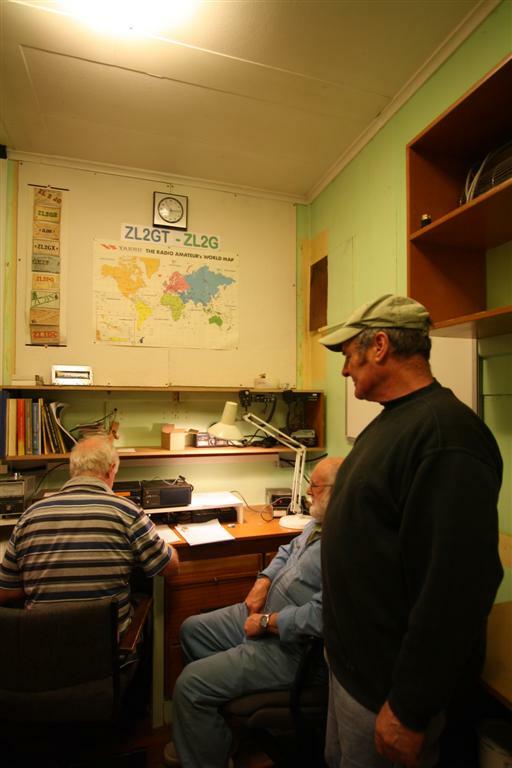 A few months ago, Mike ZL2VM asked to have the use of the shack for this year’s Trans Tasman Contest with help from Dave ZL2DW and Michael ZL2MY. The result was the team was up and running and the new shack was finally in use. 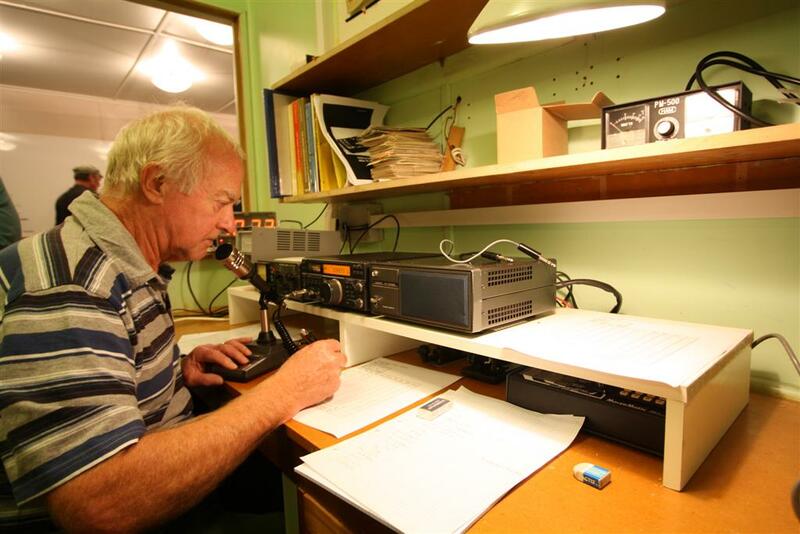 Having had a taste of a few other similar events over recent years Mike (ZL2VM) raised the idea of doing the 80m Phone section from the Napier Br 25 Club Rooms, so the appointment was made and set for participation on 11 May 2013. Armed with tea, biscuits and sleeping bag etc Mike and I met at the Club Rooms about an hour before start time, (8pm NZT) and soon after were joined by Mike (ZL2MY). We had a “tactics talk” and pre brief of the event and off we went. The first hour was quiet with only 15 contacts, however the VK’s were there and workable. Mike and Mike and myself rostered our way through the night (the event finishing at 2am NZT). While not the highest contact numbering station in ZL we believe we had a good selection of ZL 1 – 4 and VK1 – 9 stations to give a good score of multipliers. The Branch station (using a 40/80m trapped dipole) had a standing S6 noise level coming from suburbia but we could always achieve a contact with anyone we targeted. I believe this is the first time the Branch Club Rooms located station has been used in a competition, and the Br 25 ZL2GT call sign was put to good use. Later in the evening Lee ZL2AL called in for a while with his camera and took pictures of proceedings. While leaving the operator uninterrupted in the “shack” the others quietly talked amongst themselves in the main hall, about all and sundry. 2am (NZT) came and the log stopped, with about 150 ish contacts, so it was “crash on the floor” time for Mike ZL2VM and myself, Mike 2MY having gone home an hour earlier at the end of his hour on. So that puts aside this years 80m Phone section of the ZL- VK Competition, roll on the 160m Phone and 80m CW/Digital section in July at rural Moore Rd, Haumoana. There is also a suggestion that a second station will be active then too, again from the Branch 25 Club Rooms. Present: Mike ZL2VM, Mike ZL2MY, Lee ZL2AL, Dave ZL2MQ, Jan ZL2CZE, Mr. Revell Troy and Karl ZL1TJ. Minutes previous meeting, confirmed correct: ZL2TC, ZL2MY. Arising: Lee brought the 250 Watt resistors and other parts for the prototype dummy load project. Mike ZL2MY : Is the Napier City Council’s District Plan being revised? Mike ZL2VM: a revision is being contemplated. Lee: Should we be doing a joint submission with Branch 13? Download part two chapter five, look up item 5.26, Aerials,lines and support structures (and trees). In: From NZART, the 2013 branch circular, requesting a Branch info update, a set of NZART’s annual accounts, Branch 25 voting statistics, advertising the availability of a Promotional Banner (at $ 199.00), reminder of Annual Conference Awards and requesting nominations for these and finally a reminder that subscriptions may be paid at a monthly rate of ten dollars. Laurie presented the one Conference Remit to be voted on, the proposal by Branch 20, Manawatu, that clause 6.4 of the NZART Constitution by amended by adding sub-clause c. This sub clause states that all voting on remits at general meetings is done by an actual count of votes. Members entitled to vote present were ZL2TC, ZL2MY, ZL2VM and ZL1TJ. All voted in favour. Branch 25 voting membership according to NZART stands presently at 25. Lee presented parts and conceptual drawings for the NARC Kilowatt dummy load project. A discussion followed primarily between Lee and Dave (2MQ) regarding adequate heat dissipation and other similar practical considerations such as metal box versus plastic, forced cooling, Dave mentioned that the circuit board may actually be able to be bought from Chinese manufacturers at relatively low cost. Other cost savings may be made as the final product is developed The unit may be offered as a kit or fully built which may be a more attractive proposition for potential buyers. Both Lee and Dave to build prototypes with materials available to them and conduct various tests and will report back at the June or July meeting. 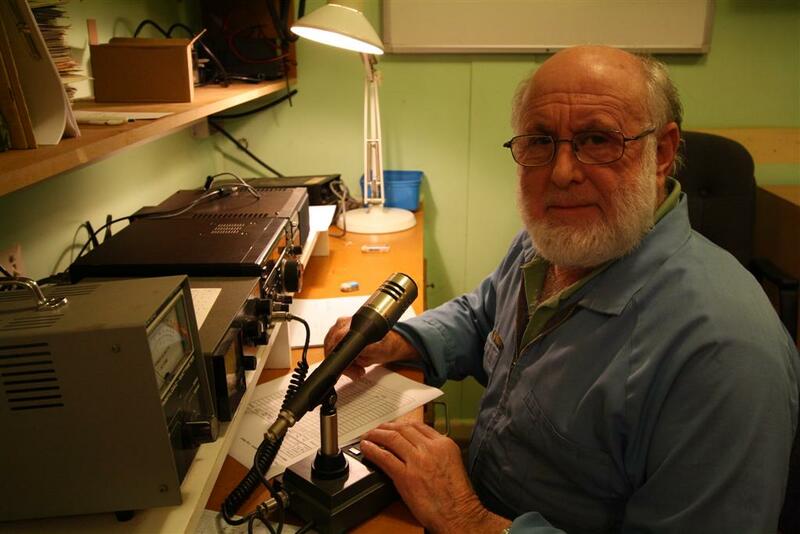 Lee reported getting his JT65 equipment up and running, making a very loud and clear contact with Peter ZL2LF. The meeting closed at 8:30 pm followed by the programmed video presentation. Another well made video report of a very pleasant Dxpedition run by a bunch of laid back hams using mainly simple dipoles for aerials and having a great time.